Maher converted 29 of 36 field-goal attempts and 32 of 33 extra-point tries in 2018. Analysis: Maher beat out Dan Bailey for the Cowboys' kicking job back in early September, and he managed to keep a firm grip on the position all year. The 29-year-old made 119 points during the regular season, including six of seven field goals from 50 yards or more. Maher is under contract with Dallas for 2019 and appears likely to return as the team's starting kicker. Maher missed his lone field-goal try and did not attempt an extra point in Sunday's 23-0 loss to the Colts. 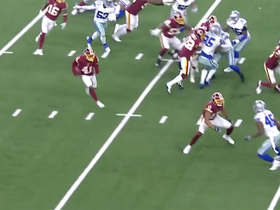 Analysis: Maher had a 48-yard field goal blocked and returned for a touchdown, though that eventually got called back as the recoverer was ruled down by contact, following Dallas' first offensive drive of Sunday's game. After that, the Cowboys struggled to put him in scoring position, resulting in both parties finishing with a goose egg on the day. Maher made three of four field-goal attempts and both his extra-point tries in Sunday's 29-23 win over the Eagles. Analysis: Maher started by making from 28 yards, but then missed from 45 yards on his second attempt. Shortly thereafter, however, he nailed a 62-yarder as the first half expired, setting a Cowboys record in the process. The rookie's final make came from 21 yards, and with a couple extra points to boot, he put together his fifth double-digit scoring performance. That haul brought his season total to 106 points, which ranks eighth among kickers. Maher made both his field-goal attempts and his only extra-point try in Week 13's 13-10 win over the Saints. Analysis: Maher converted from 26 and 46 yards on his two field goals. The 29-year-old rookie has scored at least seven points in four straight games, bringing his season tally to 95. Maher converted his sole field-goal attempt and made all four of his extra-point tries during Thursday's win over the Redskins. Analysis: Maher made all five of his kicks during the Week 12 win. He's made 22 of 26 field-goal attempts on the year, along with 22 of 23 extra-point tries. He could be in line for a large workload during Thursday's Week 13 tilt against the Saints. Maher missed one of two extra points but connected on all three of his field-goal attempts, including a 42-yarder as time expired, in Sunday's 22-19 win over the Falcons. Analysis: While he's hardly been automatic -- Maher's missed one kick, either field goal or extra point, in four straight games -- he's still maintained a solid fantasy floor most weeks, booting multiple field goals in seven of his last nine contests. With the low-powered Dallas offense often sputtering in the red zone, Maher should continue to see plenty of opportunities down the stretch. Maher converted two of three field-goal attempts and made all three extra-point tries during Sunday's 27-20 win over the Eagles. Analysis: Maher has missed a field goal in three consecutive games, and he has converted only three of his previous six attempts. The 28-year-old will attempt to improve his accuracy against the Falcons in Week 11. Maher missed his lone field-goal attempt but made both his extra-point tries in Monday night's 28-14 loss to the Titans. Analysis: Maher spoiled Dallas' opening drive by missing wide right from 38 yards. That proved to be his only field-goal attempt, giving him back-to-back low-scoring performances following three straight double-digit outings. Maher missed one of his two field-goal attempts and made both his extra-point tries in Sunday's 20-17 loss to the Redskins. Analysis: Maher hit the left upright on a 52-yard attempt as time expired, erasing Dallas' hopes of heading into overtime. Prior to that letdown, he hit a 47-yarder during the fourth quarter. Through seven games, he's been pretty reliable, missing just two of 30 total kicking attempts. Maher connected on all four of his field-goal attempts and all four of his extra points in Sunday's win over the Jaguars. Analysis: It was a huge day for the 28-year-old NFL rookie, both in points and in distance -- two of the field goals came from 50-plus yards. Maher has now booted multiple field goals in five straight games and hasn't missed a kick of any sort since Week 1, making him one of the most productive fantasy kickers around through the early part of the schedule. Maher made all three of his field-goal attempts and his lone extra-point try in Sunday's 19-16 loss to the Texans. Analysis: Maher converted from 27, 43 and 48 yards on his three field-goal efforts, staying perfect since Week 1. With 39 points over those four games, he's benefitted from a Cowboys offense that's struggled to find the end zone. Maher connected on both his extra-point attempts and all four of his field-goal tries, including a 38-yarder on the final play of the game, in Sunday's 26-24 win over the Lions. Analysis: The rookie has now converted eight straight field goals since missing the first attempt of his NFL career. The Cowboys' offense looked better in Week 4 but still had difficulty finishing drives, and Maher could prove to be one of the better fantasy options available for the rest of the season, as he's likely to get multiple FG attempts each week. Maher kicked two field goals and an extra point in Sunday's loss to the Seahawks. 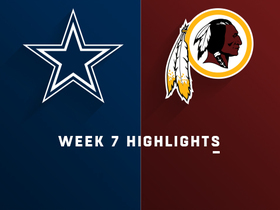 Analysis: His 50-yard field goal in the second quarter gave the Cowboys their first points of the day. After a shaky NFL debut in Week 1, Maher hasn't missed a kick in the two games since, but the team's lackluster offense limits his fantasy ceiling heading into a Week 4 tilt with the Lions. Maher connected on both his field-goal attempts (37 and 29 yards) and both his extra points in Sunday night's win over the Giants. Analysis: It was a solid bounce-back performance after his shaky NFL debut in Week 1, when he missed his only kick. Maher figures to get a long leash to prove he can fill Dan Bailey's cleats, and Maher's job security likely improved in Week 2 if only because the free-agent ranks figure to be depleted after a number of kicking disasters around the league. Maher failed to score a point in Sunday's loss to the Panthers, missing his only field-goal attempt from 47 yards. 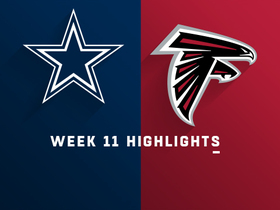 Analysis: The Cowboys were down 16-0 in the fourth quarter by the time they scored their first TD, necessitating a two-point conversion rather than an extra point. Maher's production figures to be limited in 2018 until the Dallas offense shows signs of life, making the former CFL player a very risky fantasy option even before you consider his potentially shaky job security. 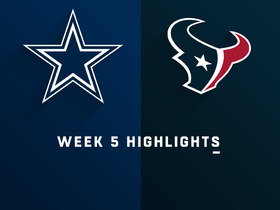 Maher beat out Dan Bailey and will be the Cowboys' kicker to begin the season, Nick Eatman of the team's official site reports. 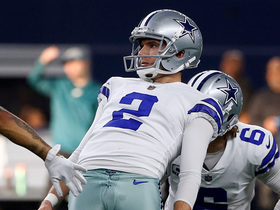 Analysis: Bailey has connected on the most field goals in Cowboys history (186), but the front office appears to have gone with the cheaper option in Maher. Speaking of, Maher has no NFL stats on his resume but has bounced about the CFL, posting a 78.1 percent rate on field goals and a punt average of 45.8. With steady punter Chris Jones on the roster, Maher will focus on placekicking now that he's locked down an NFL gig. 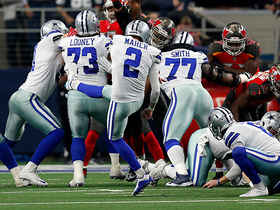 Dallas Cowboys kicker Brett Maher gets all of it as he kicks a 59-yard field goal against the Tampa Bay Buccaneers. 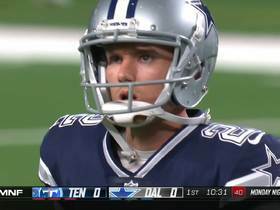 Dallas Cowboys kicker Brett Maher nails this 62-yard field goal before halftime. Washington Redskins cornerback Danny Johnson breaks loose for a 44-yard kickoff return. 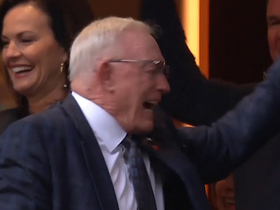 Dallas Cowboys win with a field goal from kicker Brett Maher and owner Jerry Jones is fired up over their win against the Atlanta Falcons. 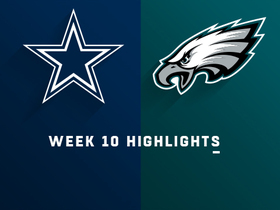 The Dallas Cowboys faced off against the Philadelphia Eagles in Week 10 of the 2018 NFL season. 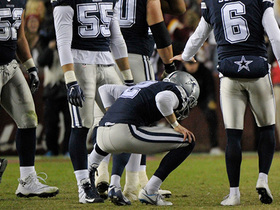 Dallas Cowboys kicker Brett Maher misses a 38-yard field goal. 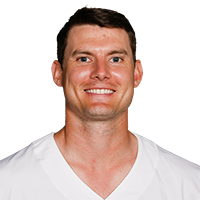 Dallas Cowboys placekicker Brett Maher?s 47-yard field attempt hits off the uprights.